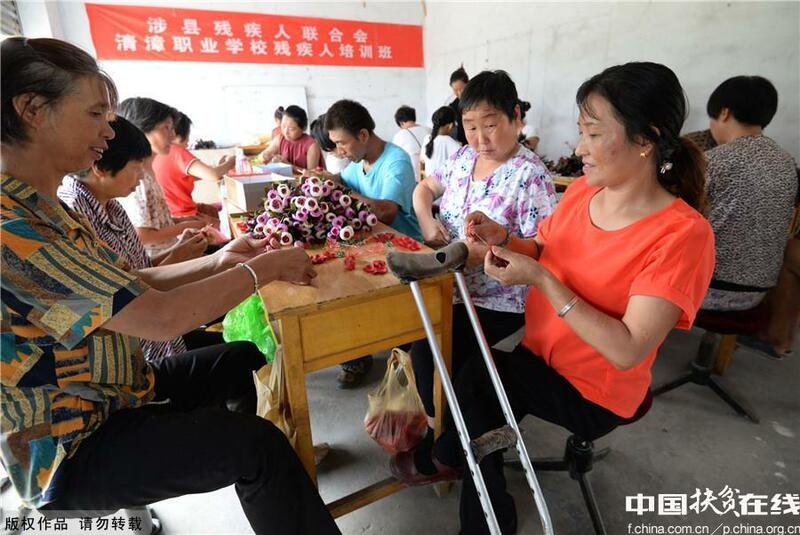 Since 2017, the Disabled Persons’ Federation in She County, Hebei Province in northern China, has had measures in place to help people with disabilities find employment opportunities. To help them stand on their own feet, the federation shifted from a donation-based aid approach to one focusing on development. The latter has seen some 400 people with disabilities trained in areas such as cooking and arts and crafts. 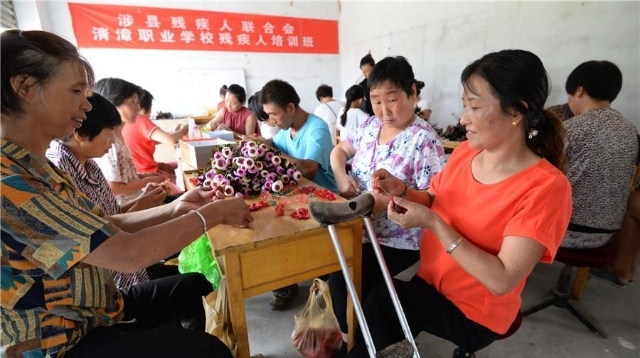 To give an example, students are trained in making artificial flowers.